Best priced home in the Estates!!! 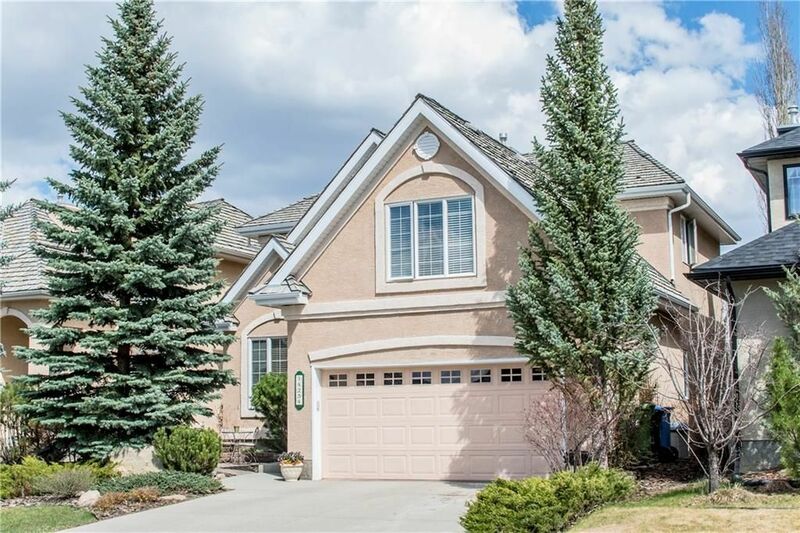 Welcome to this bright & well maintained WALK OUT home with many outstanding features. This property is sure to impress. Open main floor consists of freshly refinished beach hardwood flooring as well as an updated kitchen with a beautiful custom copper sink, hood fan, new cabinetry, corner pantry, and unique SureCrete concrete countertops. Spacious and scenic window surround dining room with access to the tiled deck. The multiple windows provide ample light & gorgeous views of the lush landscaping and trees growing up around that provide the perfect amount of privacy. Kitchen also opens up to the living room that has a corner gas fireplace. The remaining main floor hosts the laundry room with additional built in storage, half bath & office/den off the front. Upper floor boosts a spacious vaulted bonus room, 4pc bath, linen closet, & 3 large bedrooms, including the master with 5pc en suite (jetted tub, dual sinks, & enclosed shower/toilet area) & large walk in closet. 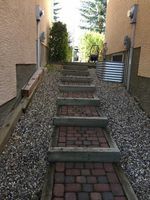 Excellent walkout basement layout already framed in to include large rec area, wet bar or kitchenette, large bedroom, bathroom and ample storage space. Entire home has been freshly painted & has A/C. 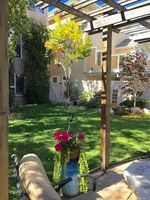 Extensive landscaping includes a stone patio, mature trees, creek pond, full fence, shed, & pergola. Home is perfectly situated on a quiet street close to Fish Creek Park, transportation, & all amenities.